In a world of three-story closets and fashion bloggers with million dollar salaries, it’s easy to think you need to be wealthy to look stylish. 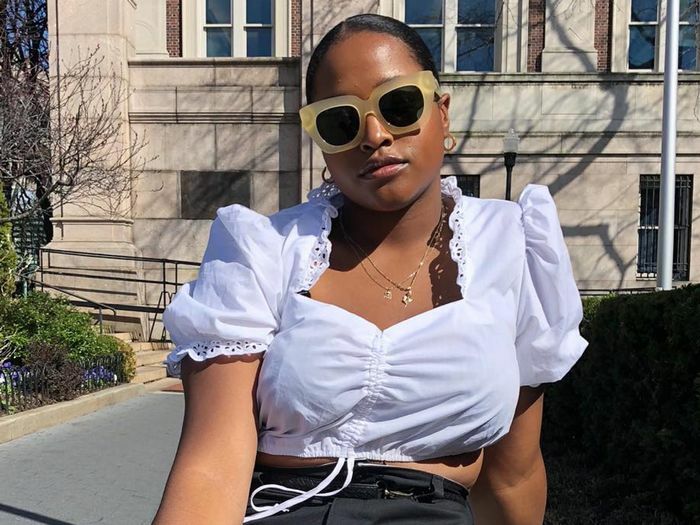 For all the babes on a budget out there, we’d like to prove that idea wrong with a standout collection of affordable items that look just as good as their designer counterparts. 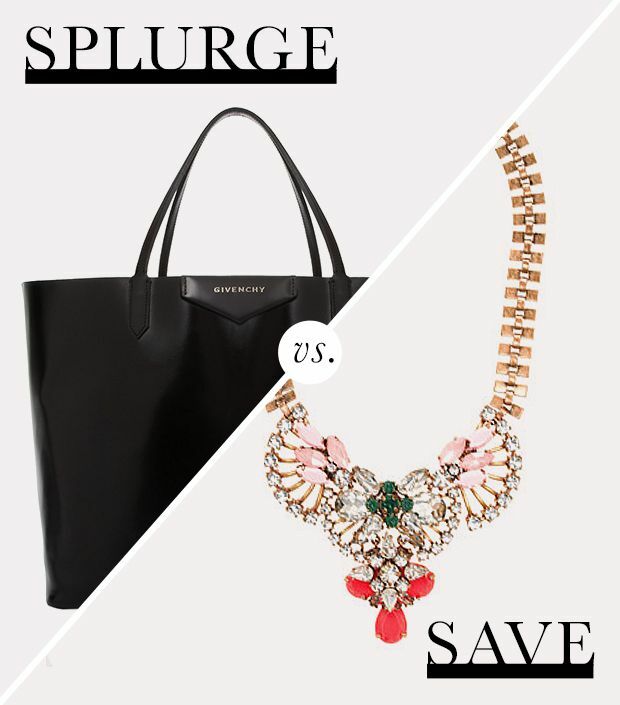 Scroll through to upgrade your look sans a shocking price tag. This sleek skort is a far cry from your grade school version. At first glance, we thought this backpack was Alexander Wang. The look of a Reformation dress without the cost. If you fancy this skirt, there’s also a matching bomber jacket. Going on a road trip anytime soon? This cheeky shirt is a must-have. We guarantee these classic sandals will never go out of style. No need to pay a bundle for staples like an oxford shirt. A lightweight trench coat is the ideal outerwear to transition to fall. Forgive us for fast-forwarding to fall, but this two-tone scarf is too pretty not to scoop up now. 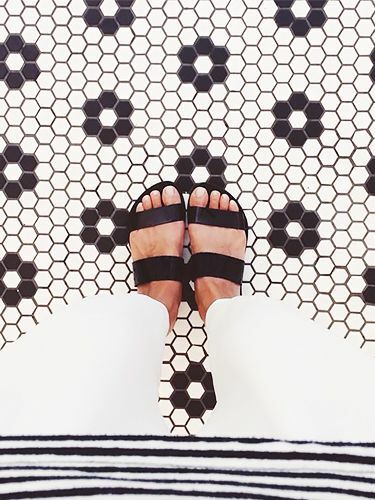 Calling all minimalists: this slide in crisp white will make an impressive addition to your shoe closet. The oft-forgotten headscarf can make an ordinary outfit outstanding. Once you try on these jeans, you’ll wonder why you ever paid over $100 for denim. This is the kind of beach cover-up that goes way beyond the shore. Your business look just got an upgrade. Everyone has a black fedora. Why not stand out from the pack in this muted cherry color? If you haven’t jumped on the mules bandwagon yet, this is your chance. It’s like your version from the ‘90s, but better. For those days when you can’t be bothered to wear anything formfitting, this is your dress. We bet Raquel Allegra would approve of this interesting take on tie dye. We love the lavender-meets-gray color on this work-worthy skirt. Ready to channel your inner Rihanna? Good, this awesome bra top is waiting for you. You can let the rest of your outfit be basic when wearing this standout coat. Give your black trousers a break with this snow white tailored pair. We just had a realization: hand-painted looking polka dots are so much cooler than your average dot. This is the type of statement-making skirt that makes the rest of your outfit easy to put together—simply pair with a black tank and heels. Bandana print is always cool in our book. The color pairing possibilities of light pink are almost as versatile as black and white. You style doesn’t blend in, and this light-catching skirt won’t either. Throw a blazer over this matching set, and you’re ready for work. Do you think it's easy to be stylish on a budget? Sound off in the comments below!